In the last week or so, I've had a mini sales push with a couple of new developments. 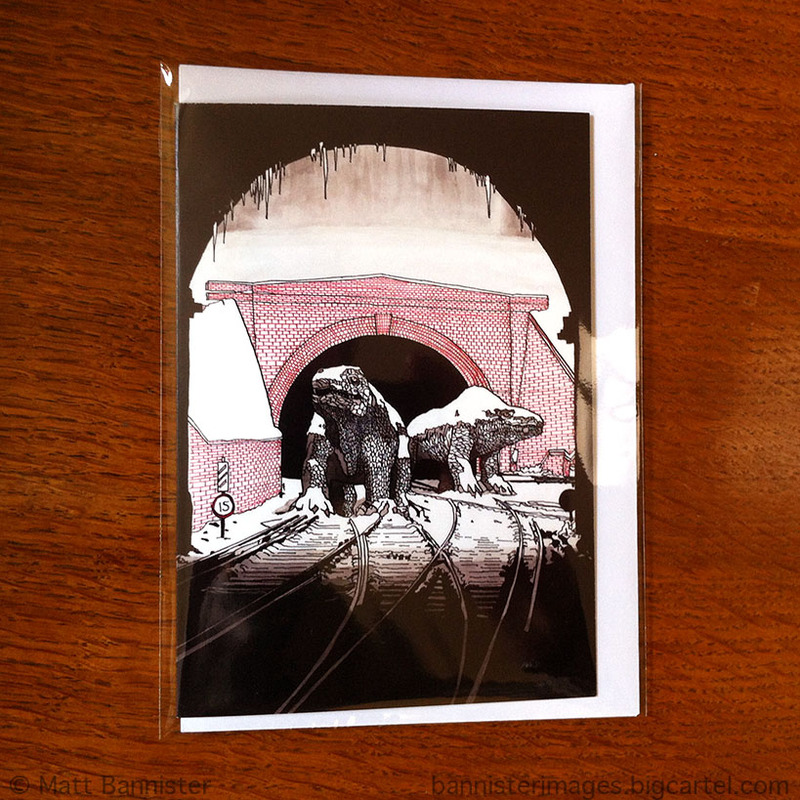 First off, I now have greetings cards available featuring the infamous Crystal Palace Monsters design. They are blank inside, so though they are dinosaurs in the snow and ice, they are for life, not just for Christmas. If you'd like to see these in the flesh I'm very pleased to say that Brave Girl Gifts, Crystal Palace is now selling them. It's a lovely cosy shop on Westow Hill run by Liz. She is also selling A4 prints of mine, too, featuring these old dinos and the sphinxes having their AGM in the Crystal Palace Subway. Keeping the Crystal Palace vibe going, I also had some A3 prints (and the dinosaur cards) on sale on the Handmade Palace stall this week (part of the Crystal Palace Food Market, on Saturdays - Haynes Lane, SE19 3AP.